The Great Pyramid has been selected as one of the projects to be exhibited at the 2008 Venice Architectural Biennale´s German Pavilion from September 12 until November 23. Under the title “Updating Germany”, commissioners Matthias Böttger and Friedrich von Borries of raumtaktik are collecting steps towards a better future with ecologically and socially sustainable projects. The Venice Architecture Biennaleis the biggest and most important exhibition on architecture and urban development worldwide. We guess, our project expands the curators´ initial question “How will we live tomorrow?” to an even broader context, probing a time beyond individual existence. How will we die tomorrow? And how will we be interred, be memorized and remembered? The project hopes to provide the soothing prospect, so that all of us might rest with a great many of individuals from most different national, cultural, religious, and social backgrounds in an ever-expanding grand pixelwall of humanity. 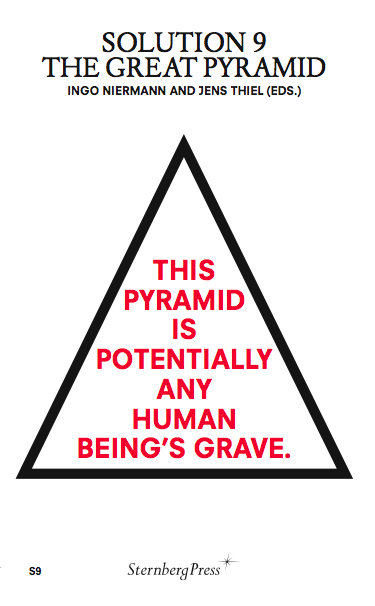 The Great Pyramid seeks to help us to acknowledge death as a natural fact but will also be able to convey a message of peace and unity into life long before death. It´s been a rather bumpy ride to Venice. The text that ended up in the catalogue is not authorized and contains factual mistakes. Also, the curators did not find it necessary to cut a couple of euros from their half million budget to cover travel expenses for the creators of the work they put on display – but still we enjoy being part of the exhibition. We would like to thank Marco Beeck and everybody at Shapers, the manufacturer of the new prototype stones in the exhibition, for their support. 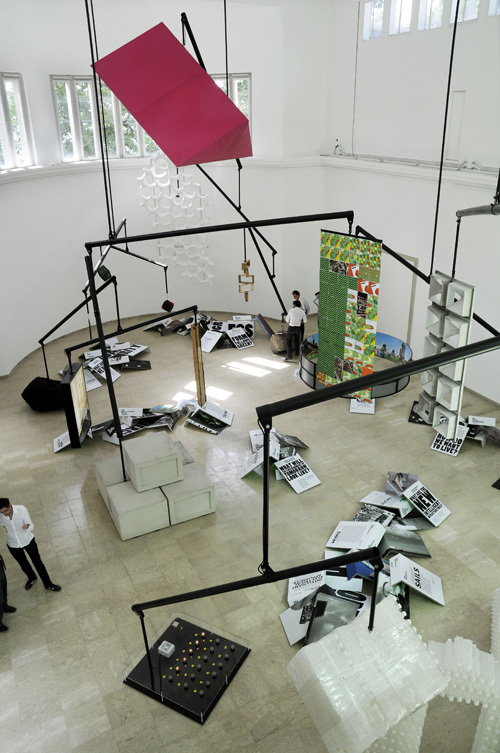 Photos of the 2008 German pavilion by Mario Ermoli. In there: 192 pages including contributions from Rem Koolhaas, Christian Kracht, Chus Martínez, Hans Ulrich Obrist, Madelon Vriesendorp and others, plenty of dazzling press blurbs as well as various texts and presentations by the editors. Plus full color pages of fascinating architectural designs and ideas for the area around the Great Pyramid from Atelier Bow-Bow (Tokyo), FAKE Design/Ai Weiwei (Beijing), Nikolaus Hirsch, Wolfgang Lorch & Markus Miessen (Frankfurt/London) and MADA s.p.a.m. (Shanghai). If you have made an unbinding reservation for a Pyramid stone and agreed to have your name listed on the project´s website, you too may find yourself in the book. More on this when we make a more extensive excerpt available soon. Meanwhile you might refer to a few preview pages at our publisher´s website, Sternberg Press. Oh, and course we wouldn´t mind if you consider ordering it from amazon.com,amazon.de etc. or through any local bricks and mortar bookstore of your choice. Thanks to Sternberg Press´s advanced distribution network the volume should be available more or less worldwide. The German Association of Undertakers in Dusseldorf believes the idea is feasible. “It is a community burial ground like any other. If local authorities oversee it, then it is possible,” says the association’s general manager, Rolf Lichtner. Oh, and the project has been part of the official German contribution to the Venice Architectural Biennale that opened just recently. 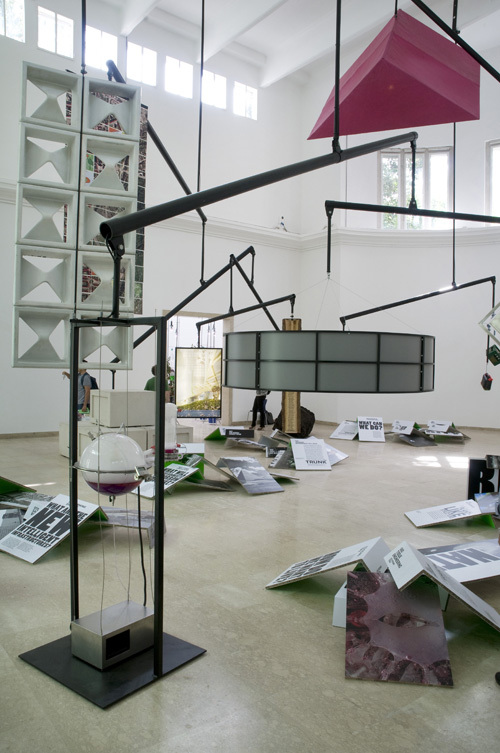 More on the Biennal incl. photos from the German pavilion tomorrow.